Magnetic systems with neodymium in rubber coating for every difficult fitting works. The rubbed surface protects the metals or delicate surfaces from scratches and damages. In addition to that it makes the magnets more thrust-resistent. The inserted neodymium magnets of these systems are in an heteropolar position that improves the magnetic attachment force. The coating is made of Santoprene rubber. Our magnetic systems offer you many fixing possibilities: external thread, threaded bushing, internal thread, countersunk holes and threaded holes. The ceiling magnets in the form of magnetic hooks are ideal for displaying and presenting promotional material in department stores, shops and showrooms. The ceiling magnets are made of steel or plastic. 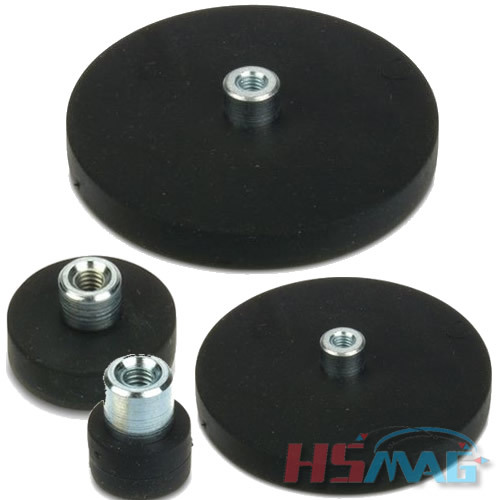 The ceiling magnets are suitable for use on any steel or iron surface. The specified pull force of each ceiling magnet is measured perpendicular to a 10 mm thick sheet of st37. The rubber-coated adhesive surface protects the metal from scratches and grounds for detention increases the pushing force. 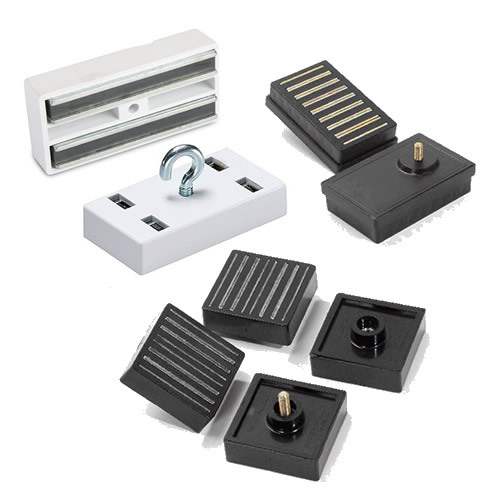 Rectangular & Round, Plastic Ceiling Magnets, Metal & Steel Ceiling Magnets, Magnetic Fixing Tools. 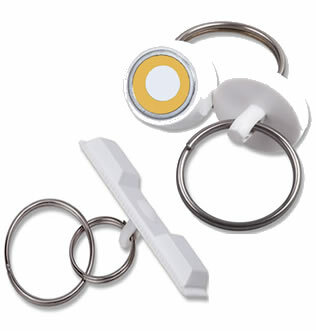 Extremely powerful, small size, Neo Clik magnets with rings to allow easy installation and removal. 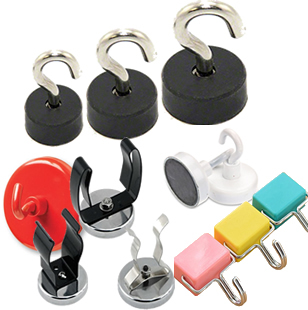 Powerful hook magnets, made of neodymium and ferrite, for home decor.